We would like to wish all of our customers, suppliers and other business partners a Merry Christmas and pass on our best wishes for the New Year. We will be closed from mid-day on Thursday 21 December, re-opening on Monday 8 January 2018. Thank you all for your support during 2017, and hoping 2018 is another prosperous year. As we are less than 5 weeks to Christmas, it is "all hands on deck" as we prepare to fulfil our order requirement. 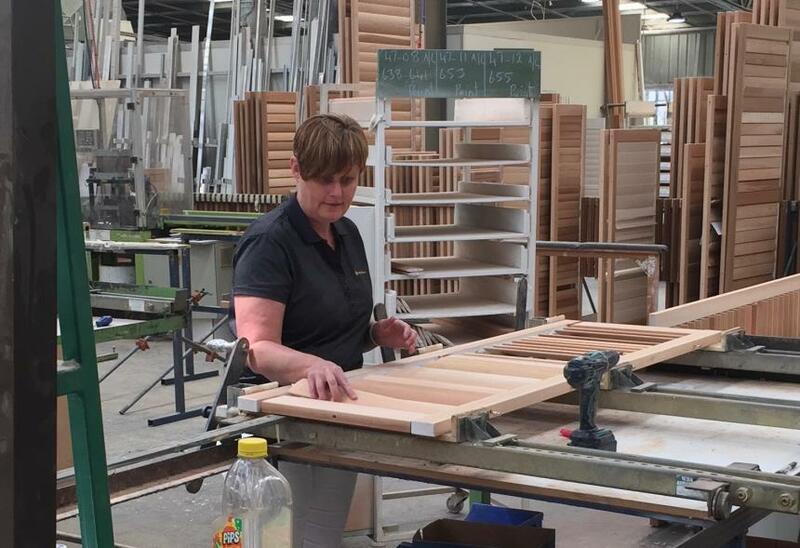 Stephen and Gail have been out on the factory floor helping the cause, and both were reminded of the level of detail that goes into crafting our beautiful custom made shutters. 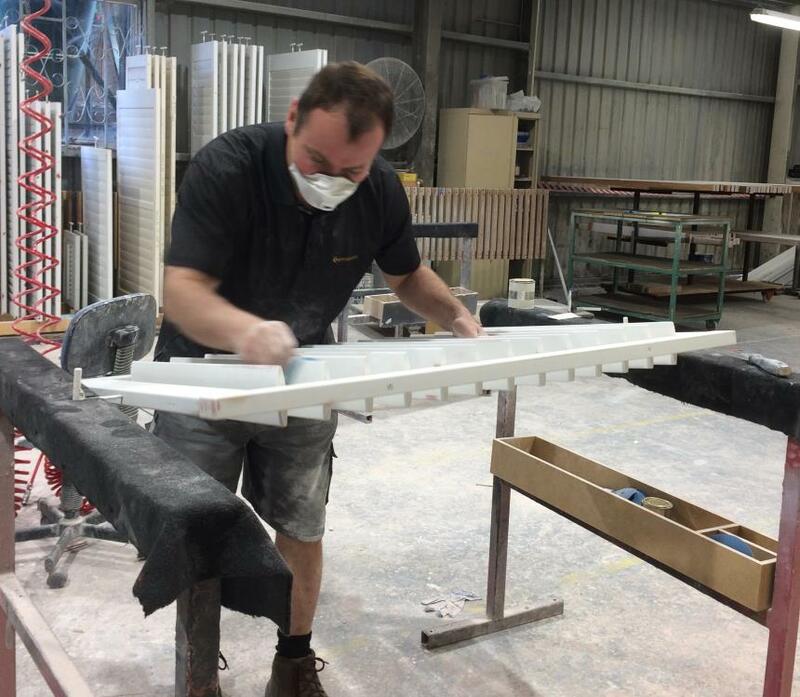 "You sometimes forget the level of effort, diligence and detail that goes into each product", said Stephen after his third week helping out our skilled painters. "Western red cedar is a beautiful timber, but the work done on it and 'keen eye' required to ensure it is transformed into a spectacular finished product shouldn't be underestimated". 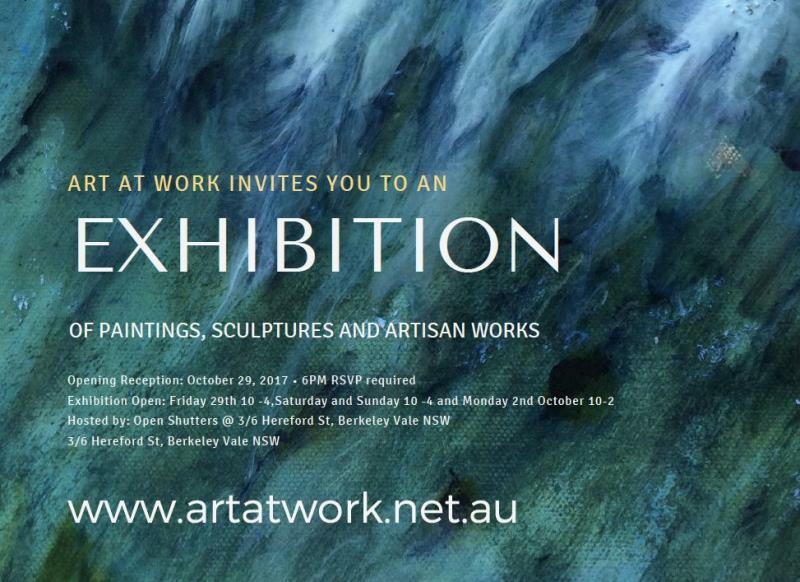 OpenShutters is delighted to be hosting the inaugural Art at Work exhibition here on the Central Coast from Friday 29 September to Monday 2 October. 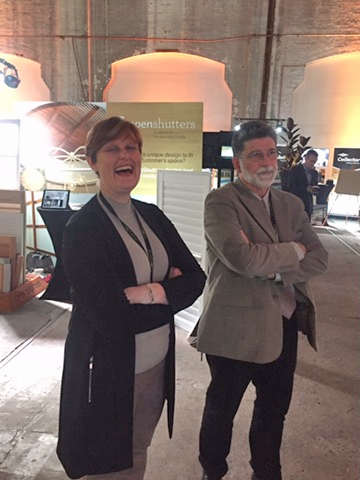 The brainchild of OpenShutters’ very own Marion Mikkelsen as a celebration of creativity, Art at Workbrings together artists and creatives from a variety of disciplines including painting, photography, glass metal and wood sculpture and industrial design. 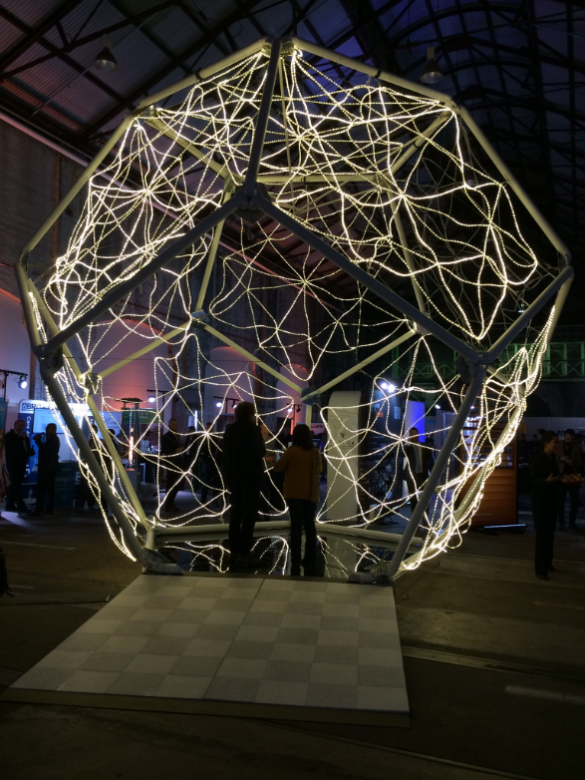 With limited opportunities to showcase their work, Art at Work is an organisation dedicated to fostering a collaborative culture between artists, business creatives and the community. You are cordially invited to visit us and see for yourself a collection of exquisite works, and be involved in a community art project whilst supporting Central Coast Kidney Health. 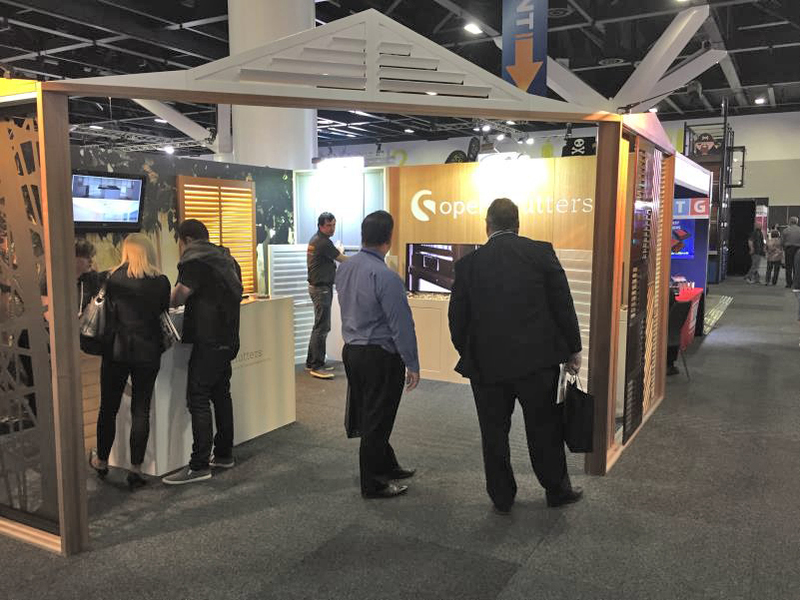 OpenShutters were at the Australasian Gaming Expo this week, which was held at the ICC at Darling Harbour in Sydney. 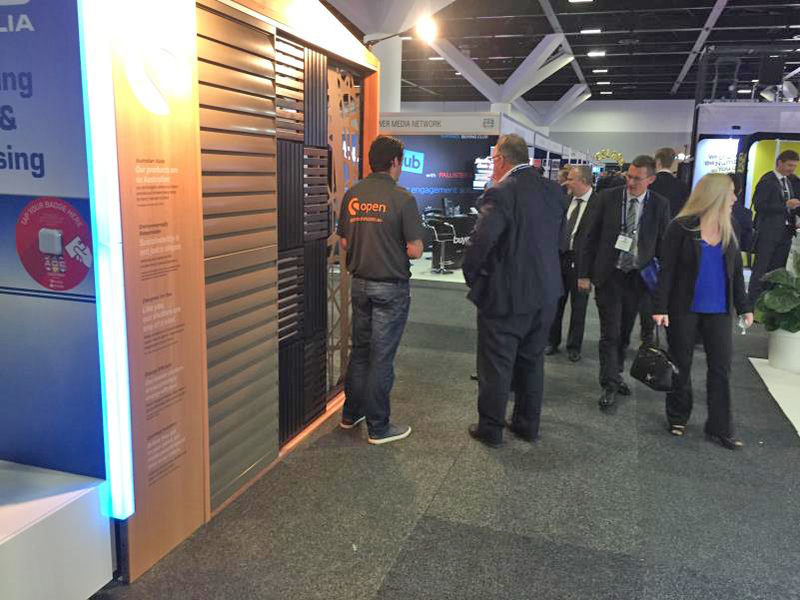 We showcased our custom made shutters, louvres and screens to the trade, having done various jobs in the gaming and hospitality sectors in the past, such as at Burwood RSL and Kings Cross Hotel. 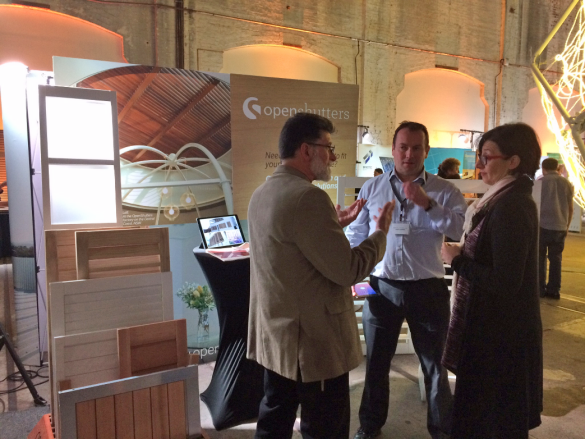 We were pleased to showcase our custom made products to various architects at a recent event at The Carriageworks in Sydney. With around 1,000 professionals attending, it was the perfect opportunity to demonstrate our craftsmanship and capabilities. Have you ever wanted to see where our beautiful custom made shutters, louvres and screens are designed and created? 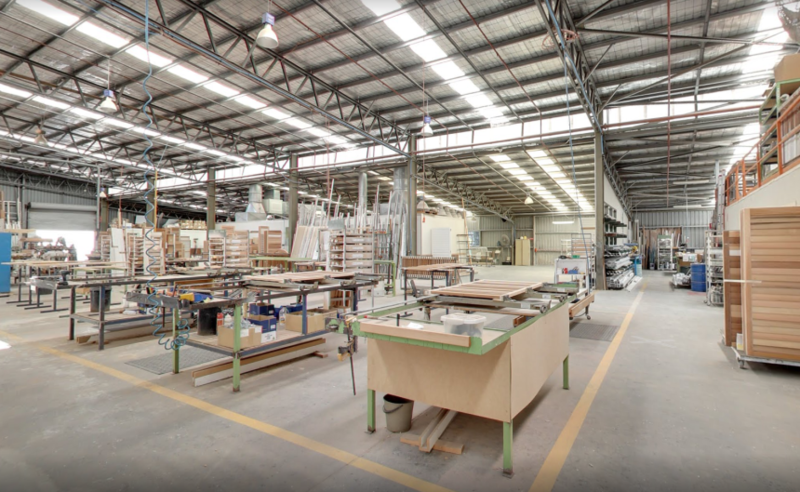 Take a virtual tour of our 3,000 m2 factory by clicking here and then navigate around the place. If you are considering shutters for a bespoke project, why not arrange a visit to come and see our operation in practice? You'll also be able to interact with our craftsmen to understand a little more about what goes into the OpenShutters experience. 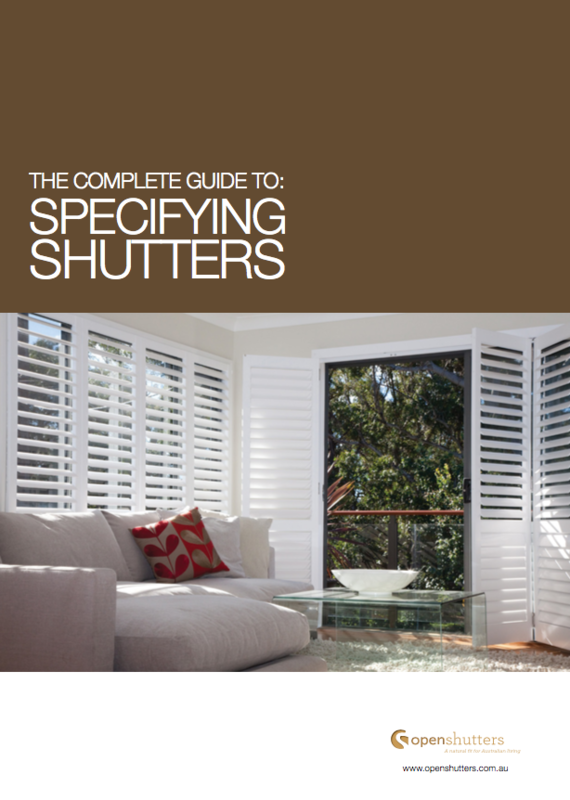 Covering selection of material and considerations with regard to installation type, our Complete Guide to Specifying Shutters covers many aspects which should be considered when choosing custom made shutters for your project. Download the guide here to find out more. 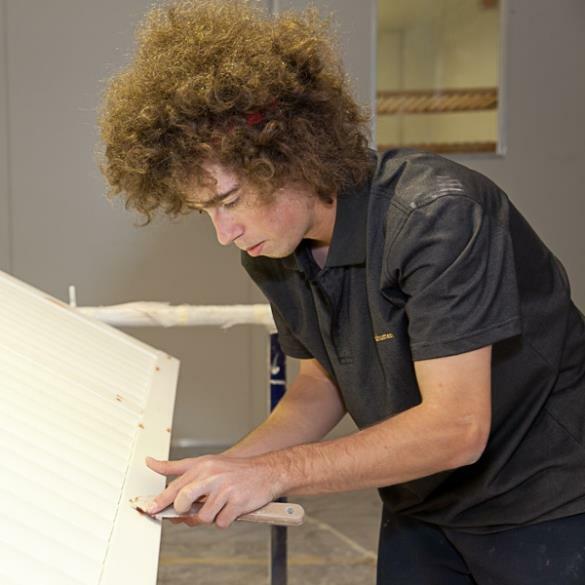 Belated congratulations go to our 'former' apprentice Aaron Pomeroy, who last month successfully completed his apprenticeship in Furniture Finishing. For the past four years, Aaron has been a key member of our paint team, and he is the latest in a long line of apprentices to have completed his training with OpenShutters. We were pleased to offer him a full time position going forward, and have no doubt that he will continue to develop his skills in helping ensure the finishes on our custom made product are of the highest possible calibre. 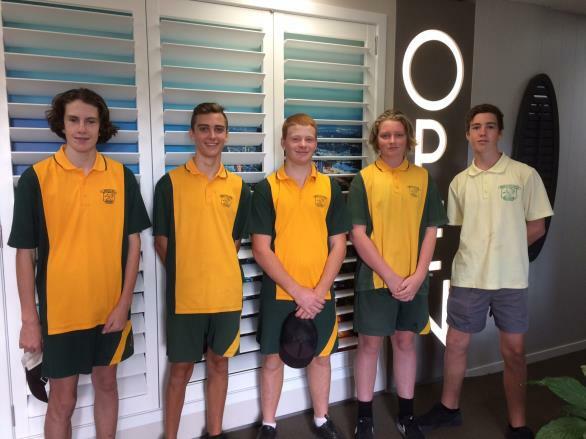 We were delighted to welcome Year 10 students from Berkeley Vale High to the factory this week. The students were keen to learn about our manufacturing process, and get an insight into the “real workplace” and discuss pathways to apply for apprenticeships. 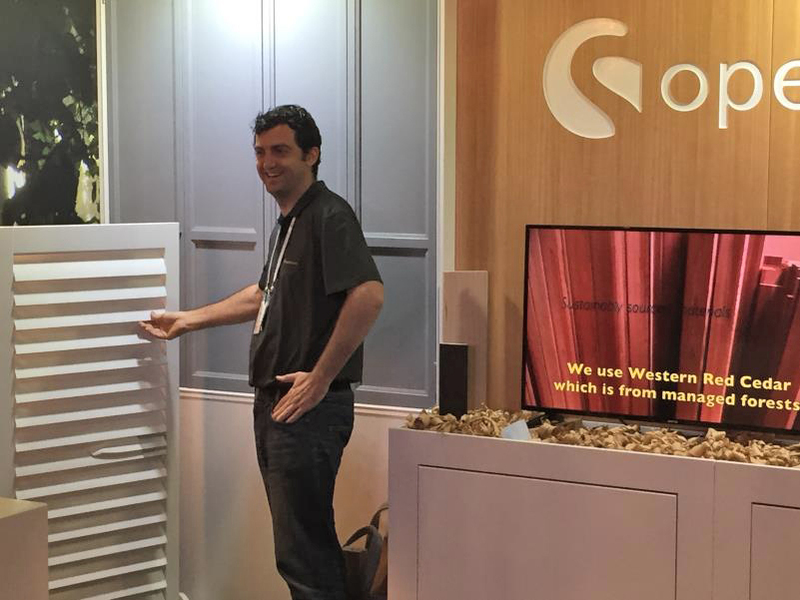 December 2016 saw the latest instalment of the Star Wars saga, the title of which prompted a timely reminder that not all shutters are created equal, and that consumers should be inquisitive when researching their shutter supplier options, and guard against possible rogue products and suppliers. Over the years, we have seen many products claiming to be a similar standard to that of an OpenShutter, but (using a Harrison Ford link) you need to be aware of “What Lies Beneath”, and the pictures of another company's shutters attached to the end of this blog are very revealing. Are the components cut from solid timber, as is the case with an OpenShutter? Be aware of offcuts joined together to give the look of appearing solid. Are there any signs of paint cracking (an indicator of instability in the timber beneath)? How will the shutters be installed? Will they function as you want them to? How will you clean them, and what happens when your kid’s soccer ball takes out a blade or two by accident? Will you have to wait an eternity to have them replaced? 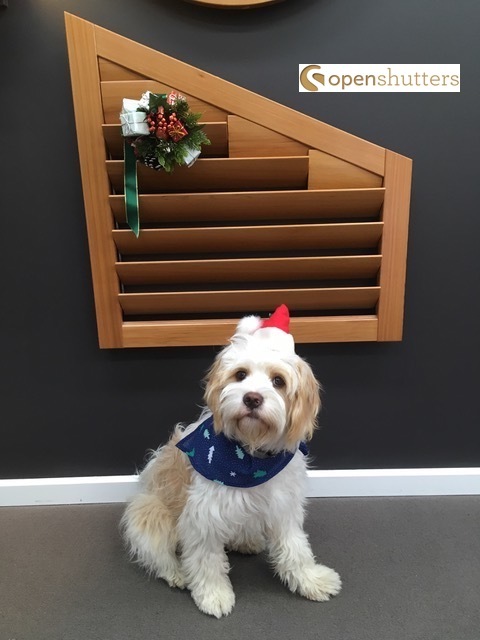 We understand that choosing shutters is an investment, therefore we would encourage customers to ask as many questions as possible in order to ensure you receive the maximum benefit from that investment.